John D. Haefele’s blurbage on Creeps by Night nudged me to get my copy of the Belmont paperback The Red Brain off the Donald Wandrei/E. Hoffmann Price/H. Warner Munn shelf where it lives, to look into once more. The Don/Ed/Harold shelf houses my collection of books by my pals who wrote — back in the day — for Weird Tales, and many of the editions are inscribed. I suppose I could wedge my collection of Carl Jacobi in there, too, but while I met Carl on a few occasions I didn’t get to know him well enough to claim he was a pal. And of course Fritz Leiber wrote for Weird Tales — he noted that after a number of rejections, the capricious editor Farnsworth Wright finally accepted his first story for the magazine. I guess you might consider that one of Wright’s last decisions, because he was removed from the job and the story — “The Automatic Pistol” — appeared in 1940 in an issue under the reign of the new editor, Dorothy McIlwraith. I was in closer proximity to Fritz over a longer period of time, and he wrote many more books than Wandrei/Price/Munn. Fritz takes up about two shelves just on his lonesome, and a good chunk of that collection is inscribed. I knew the paperback of The Red Brain was inscribed, too — when I handed it over to Wandrei, he said he had never seen this reprint or heard of its existence before that moment. 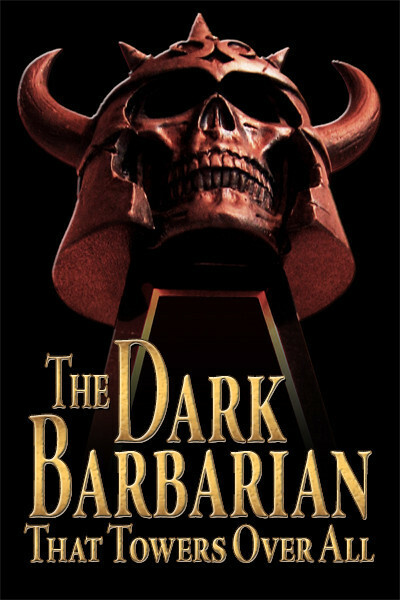 Wandrei got a good chuckle out of the typography on the cover, which says the stories were selected by “Dashiell Hammett and other creepy thrillers.” All those years later Wandrei was still ticked off about the chintzy $25 payment he and the other contributors got for appearing in the book. If Hammett had been made to look kind of stupid, Don considered it a form of payback. 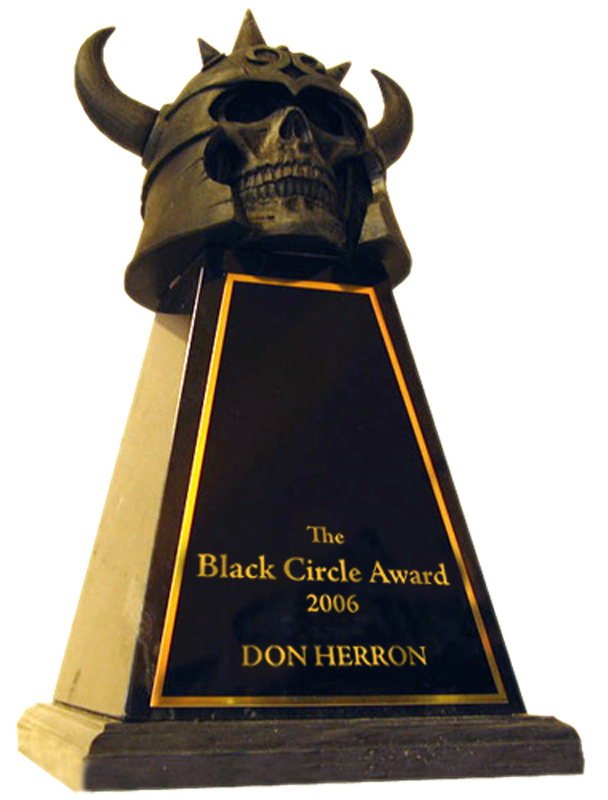 I opened the book up and began scanning the front pages, looking for the inscription. Nothing. I think Wandrei had selected that position to sign so he wouldn’t put a crease in the front cover. He was a major book collector, and after his death his trove filled many catalogs — he knew better than to crease the cover, because of that collector’s blood. The outer wraps on the paperback still look bright and sharp, but the interior pages are browning — worse, the text block against the interior wraps are browning them out, even where Wandrei put in his John Hancock. The peril of collecting pulp paper items, whether it be a pulp magazine like Weird Tales or a paperback like this one from almost sixty years ago. 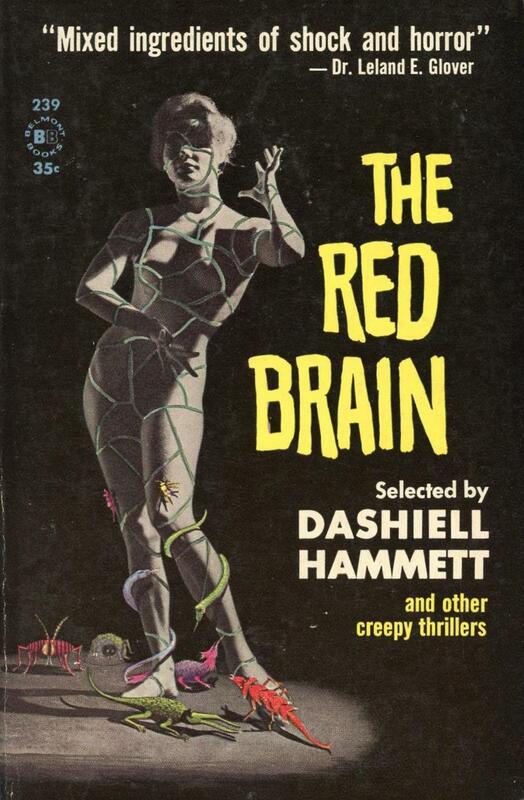 This entry was posted in Dash, Lit and tagged "The Red Brain", Book Collecting, Carl Jacobi, Creeps by Night, Donald Wandrei, Dorothy McIlwraith, Farnsworth Wright, Fritz Leiber, John D. Haefele, Weird Tales. Bookmark the permalink.